Chassis manufacturer FTR Moto has entered insolvency, with liabilities believed to be over £500,000, four years after they were bought by the Heads of the Valleys Development Company (HOTVDC), the company behind the struggling Circuit of Wales project. 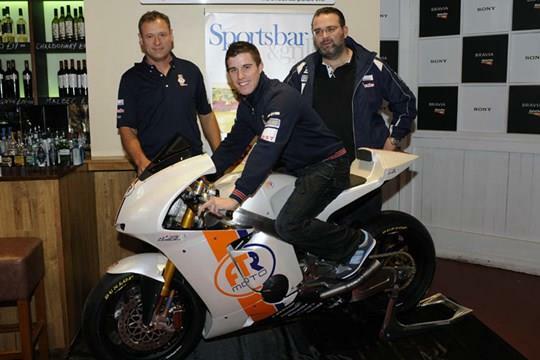 HOTVDC purchased the chassis manufacturer in 2012 for over £400,000 with the intention of having a British rider competing for a British team at a British venue aboard a British bike. Despite FTR Moto finding success with their racing frames in Moto2 and Moto3, as well as participating in MotoGP, they have declared substantial losses each year since their purchase in 2012. A contributing factor in this appears to be a loan for over £300,000 the company took out from their owners, HOTVDC, in October 2012. FTR Moto has not been producing frames for some time as HOTVDC had intended to move the company to the Circuit of Wales, but delays in the delivery of that project has prevented them doing so. In their last accounts to date, FTR Moto had only £888 in the bank and just over £10,000 in assets. Many questions currently surround HOTVDC after it recently emerged that they had lost over £1.2 million pounds running races at Silverstone because the Circuit of Wales is yet to begin construction, due to a failure to attract the funding needed. The collapse of FTR Moto, declaring such heavy losses, will only further fuel questions about how the £9 million pounds HOTVDC have received so far in public funding from the Welsh government has been used. MCN contacted HOTVDC but had not received a reply at time of publishing.